I have performed this activity for standard vSAN cluster and stretched vSAN cluster in my lab. We perform the same activity in production environment to fulfill customer requirements. List all the virtual machine storage policies. Export the list of all the VMs based on storage policy and check compliance status. 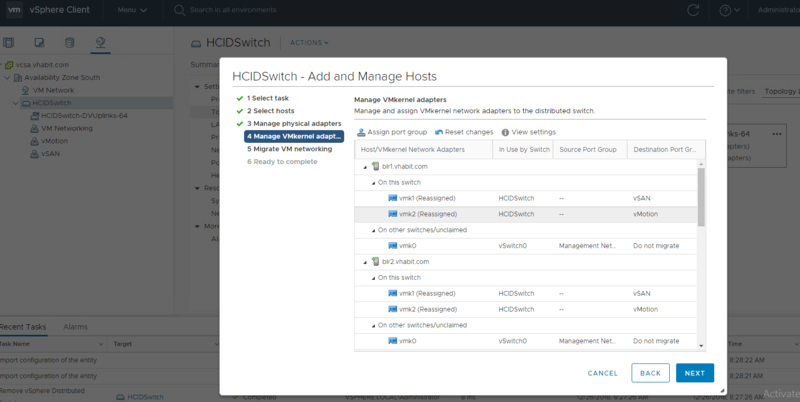 Create a vSAN Cluster with existing features and enable vSAN, HA, DRS. 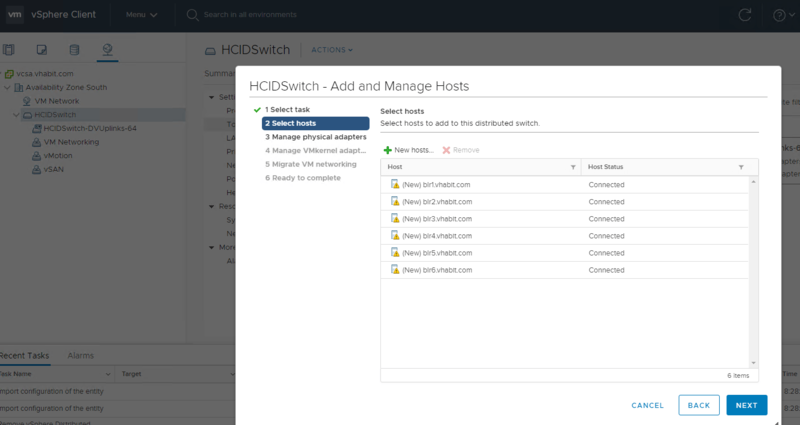 Import dvswitch settings to new vCenter Server, do NOT select Preserve original distributed switch port group identifiers. » You will see warning on all the hosts for “The vSphere vDS corresponding to the proxy switches on the host does not exist in vCenter Server or does not contain this host”. This is because proxy switch on the host has lost connection to vDS identifiers exists on old vCenter. To resolve this warning and complete networking requirements, go to networking section ⇒ select vDS switch and add all the hosts. » Add physical adapters and vmkernel ports based on the previous configuration. » Host networking with vDS is setup and now old vDS can be deleted. » In some scenarios you may see all your virtual machines are accessible on network but vm adapter shows “empty” port group . This is because virtual machine networking was on old vDS identifiers and in order for vm to show port-group they have to be migrated again on the same port group by using virtual machine migration wizard. » Edit VM policy and assign the Policy that matches the VMs policy that it migrated with the VM. Do this once and check for resync to ensure that the VM does not start a full resync. If no major resync then the policy was copied correctly and move to next VM and adopt new policy for VM. » Check vSAN health and retest the same. If you get warning for “vCenter Server is not authoritative”, click on update ESXi configuration and vSAN Cluster will sync cluster membership with new vCenter. Thank you for reading. Happy learning!! Keep up the Good Work .Very Very Helpful Document.